We offer lots of resources for you to view and download. 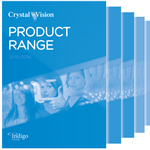 We're very proud of what our products can do and we like to provide comprehensive information to help you choose the right Crystal Vision product. These resources include user manuals, quick start guides, brochures, software updates, VisionWeb GUIs, technical papers and videos – find out more below. If you've read all the information and you still have a question, then please ask our support team – they would be very happy to help you. Find out who you need to contact. Our user manuals give comprehensive step-by-step information on how to operate the products. Available in PDF format, user manuals are available for both current and obsolete products. 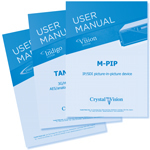 The user manuals can be downloaded from the password-protected Registered Area or are available on a CD from Crystal Vision. To download manuals, ask us for a Registered Area password now. There is one quick start guide currently available. The Indigo frames quick start guide explains how to use a PC web browser to set up Indigo frames fitted with frame software V4.6 and above, via an Ethernet network. Learn how to set the frame's default IP address, how to set up a PC's LAN controller to access the frame and how to access the Setup pages to program a new IP address - view it now. A range of product brochures are available in PDF format. 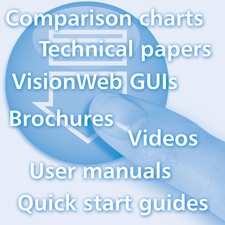 Get an overview of what we do by reading our latest Indigo and Vision Product Range catalogues, then get more detail by studying the individual leaflets for each board where you can find block diagrams, technical specs, ordering information and more. 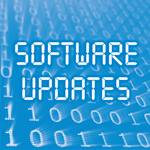 If you're still using our original PC control software - Statesman - you can download the Statesman Lite software, the Statesman Demo version and the latest Statesman product GUIs from the Software updates web page. You'll find the SNMP MIBs in the password-protected Registered Area, as well as our ASCII and JSON protocols and product XML files - plus documentation relating to software updates. Other software – such as the latest frame software for running VisionWeb Control, the MultiLogo Control Software and the current board software – is available from customer support on request. VisionWeb is a free-of-charge way of operating the full Crystal Vision product range from a web browser running on any device connected to the same network – and is now our main control software. 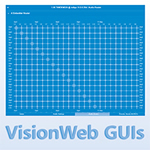 You can now try out the interactive VisionWeb GUIs – with this VisionWeb demo the most convenient way for you to explore the control options for every board and get a real feel for what each product can do. 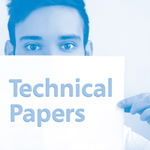 Our technical papers provide wisdom on hot broadcast technology topics such as fail-safe switching, chroma keying and SMPTE 2020. The knowledgeable authors have a strong engineering background, including nine years as Chief Engineer at a US broadcast station. 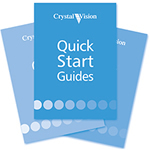 If you're thinking of buying a Crystal Vision product, these video demos will show you exactly what you can achieve, including walking you through each of the controls on our PC control software. It's a very visual way to help you understand our products. To make it easy for you to work with the Vision system, we've created an Excel-based Vision 3 frame configuration template – a useful tool for assigning cards to frame slots. 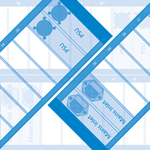 Featuring drop down menus for the cards and their relevant rear modules, you can download the template below.